1. 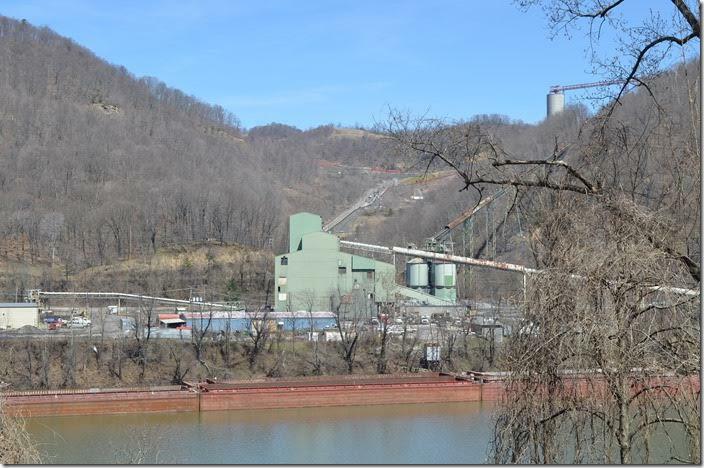 Mammoth Coal Co. Cannelton operation on north side of the Kanawha River beside US 60. 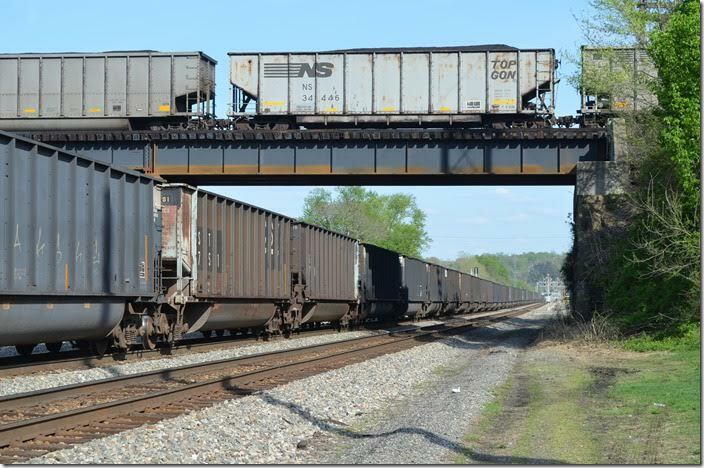 This is served by NS (ex-CR, exx-PC nee-NYC), but also loads barges. The surface mine is on top of the mountain. This is now Alpha Natural Resources. 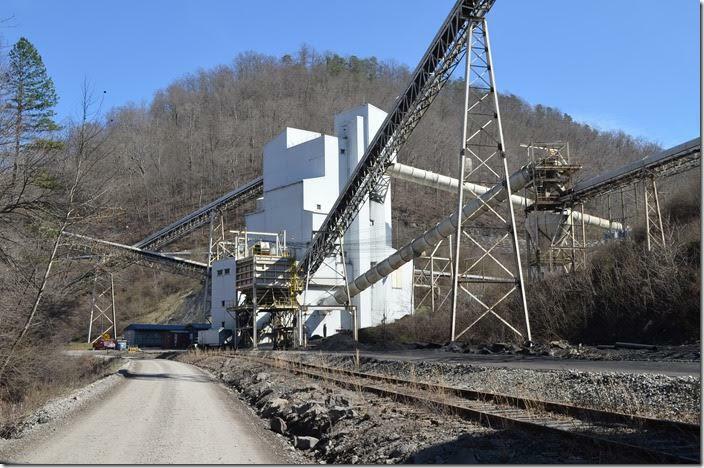 Previously it was Massey, Amax, and Cannelton Coal. 2. The unit train load-out is just left of the stacking tubes. 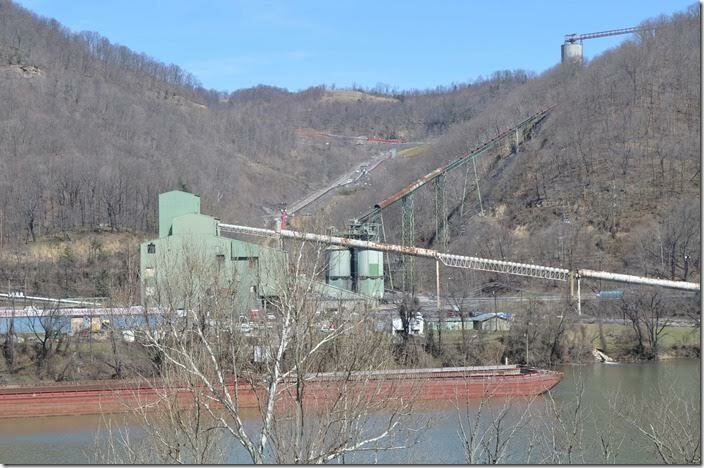 Mammoth Coal Co. Cannelton. 3. CSX is just below me. 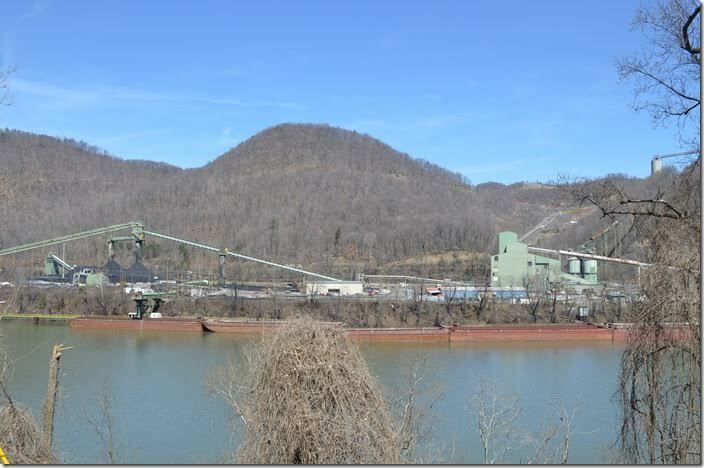 Mammoth Coal Co. Cannelton. 4. The big green structure is the preparation plant. 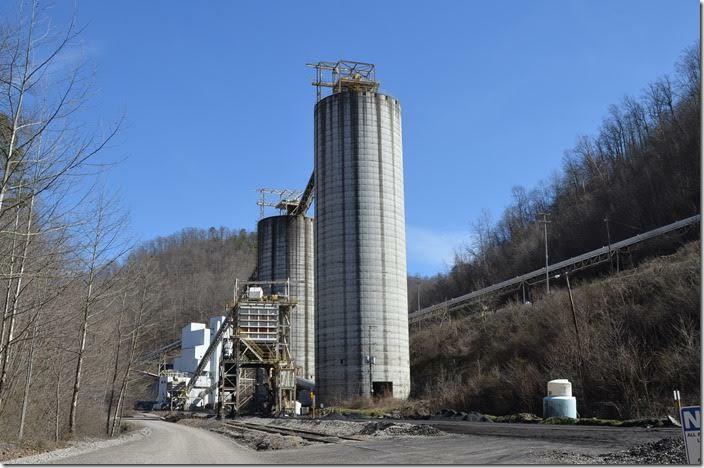 Mammoth Coal Co. Cannelton. 5. 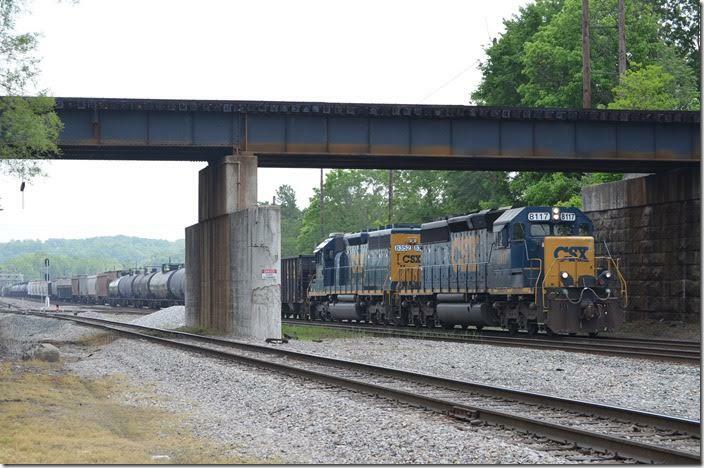 CSX w/b U374-28 behind 366-468 with 100 empty tubs. Cabin Creek Jct. 6. U374-28 pulls to a stop at Winifrede Jct., the engines cut-off and go to Marmet to cross over. U633-28 behind 285-506 heads east with empty hoppers. 7. 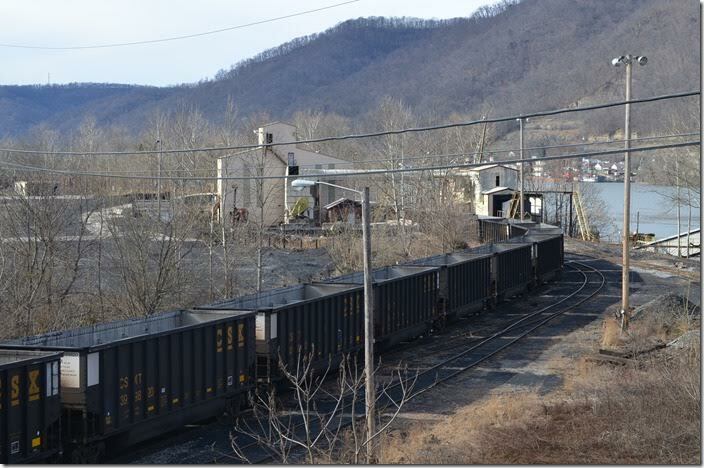 Kanawha Eagle Coal Co., a subsidiary of Patriot Coal, West Carbon mine at the head of Fields Creek on the Winifrede Railroad. 8. 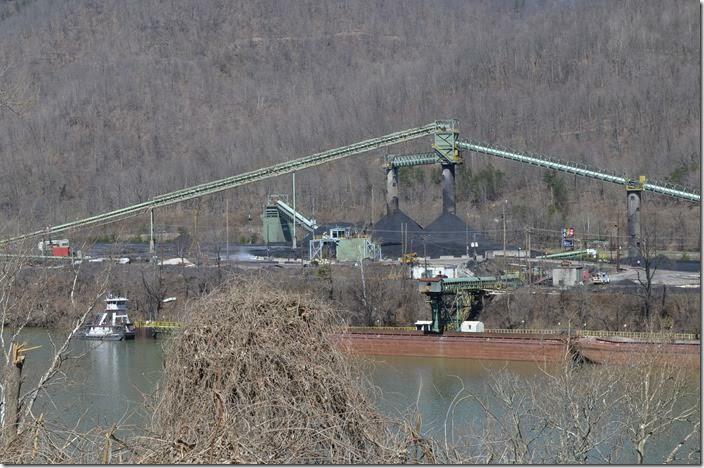 Kanawha Eagle Coal Co. West Carbon. View 2. 9. 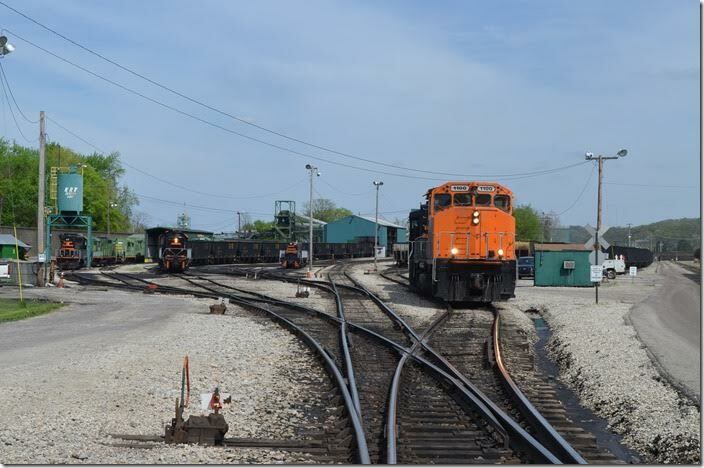 Meanwhile back down at Chelyan, U374’s power is ready to couple up and start shoving their empties into Winifrede’s yard. 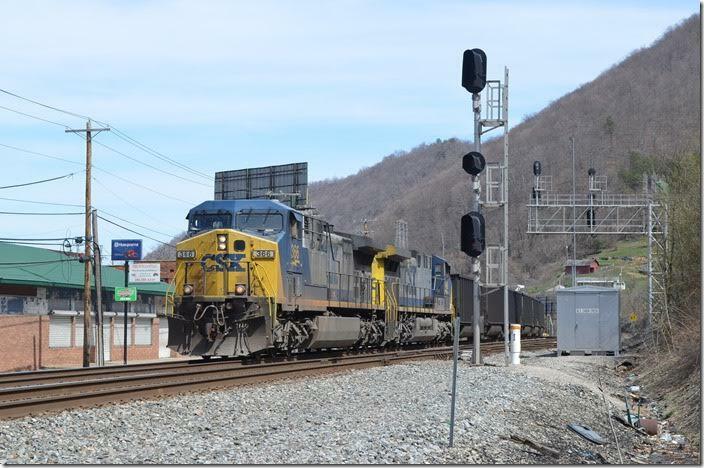 CSX 468-366. 10. 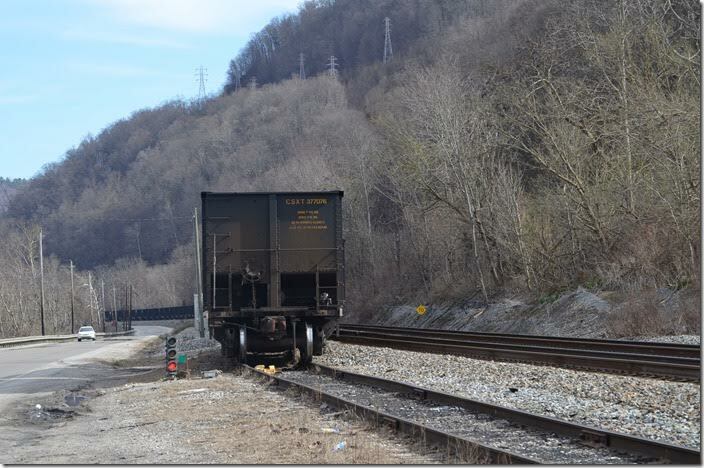 A w/b empty oil train behind 590-720 crosses from Track 1 to 2 to get around U374. Chelyan. 11. The de-rail is still in place. Note the speed limit on passenger trains. 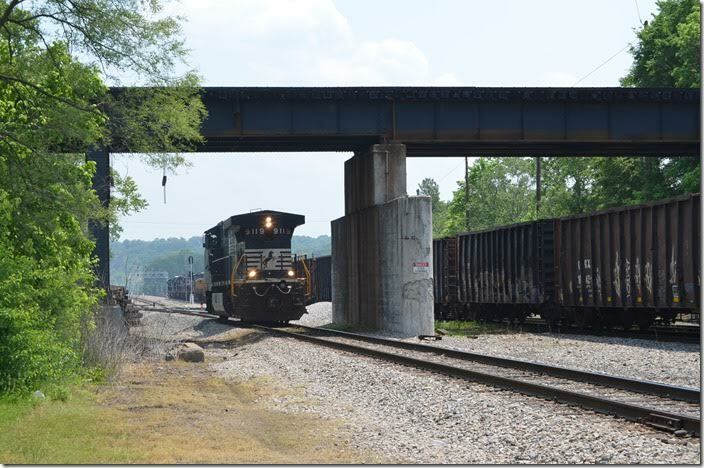 CSX 468-366 Winifrede Jct. 12. The barge loader appears inactive. A remote-controlled re-engined ALCo S-2 is parked in front. 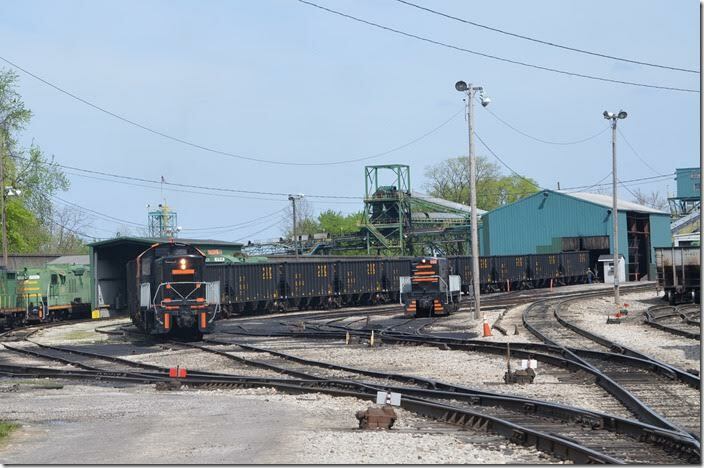 For years all of Winifrede’s coal went to barges. 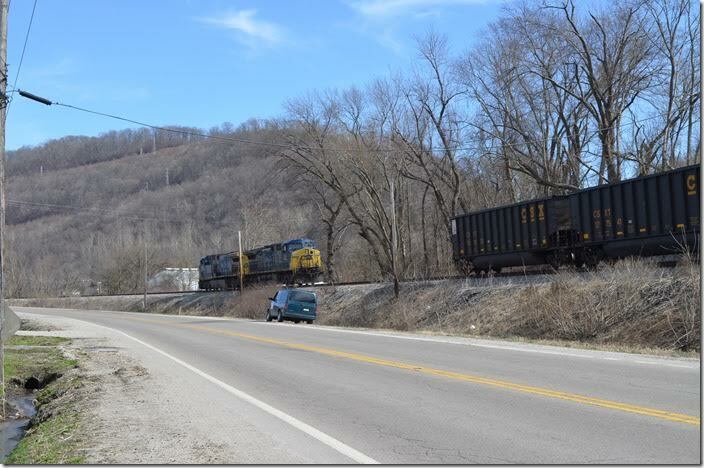 CSX U374-28 Winifrede Jct. 13. 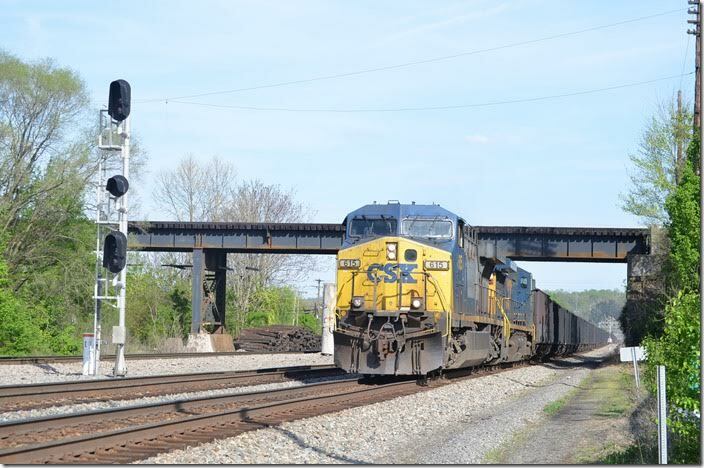 CSX 468-366 Winifrede Jct. View 2. 14. CSX 615-7925 hustles w/b through Kenova under NS at the site of the old union station. 04-18-2015. 15. 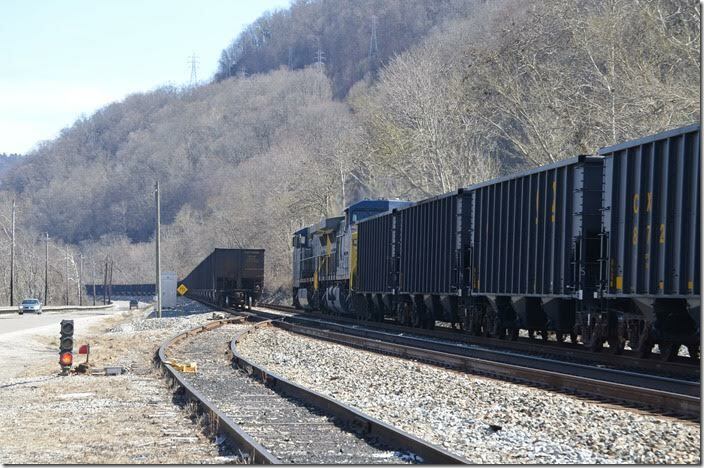 Kanawha River Terminals (SunCoke Energy) wide-cab GP40s 1100-1200 wait at the Ceredo trans-loader. 04-18-2015. 16. 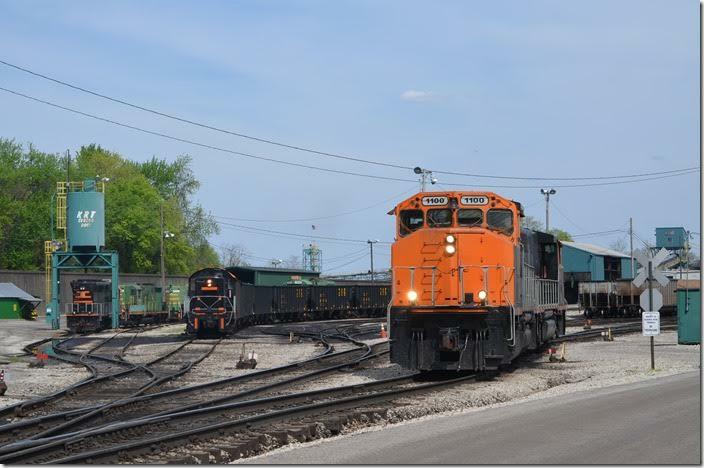 That looks like an SD45 beneath the sand tower. The number is 423. KRT 1100 Ceredo. 17. Catching empty cars after they are dumped. KRT Ceredo. 18. KRT 1100. View 2. Ceredo. 19. Kenova, W.Va., is truly the “crossroads of commerce”, an expression Pennsy used on their calendar art. 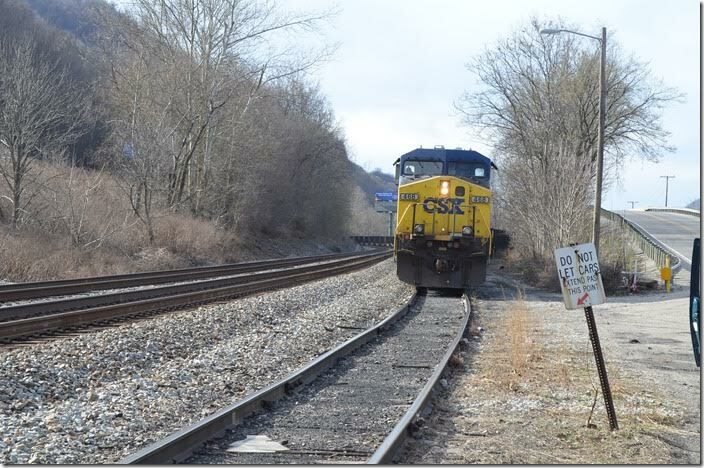 CSX 5312 Kenova. 04-18-2015. 20. A Huntington Turn or Q302 heads east with a bunch of engines for the Huntington Loco. Shop. 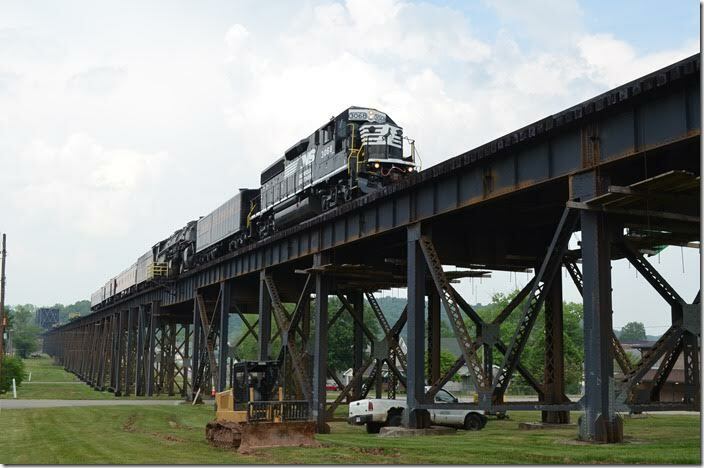 NS 9119 waits on the river lead to cross over CSX at KV Cabin. Kenova. 05-11-2015. 21. 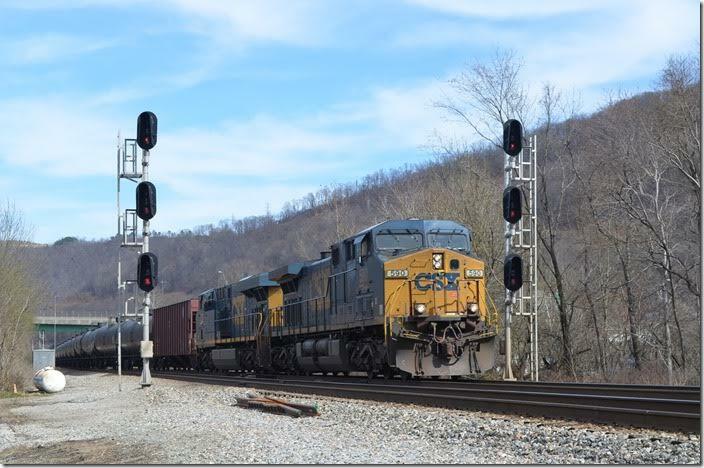 CSX 8117-8352 heads west with Q303. Kenova. 05-11-2015. 22. This is what we were really waiting for! N&W Y-6 2156. 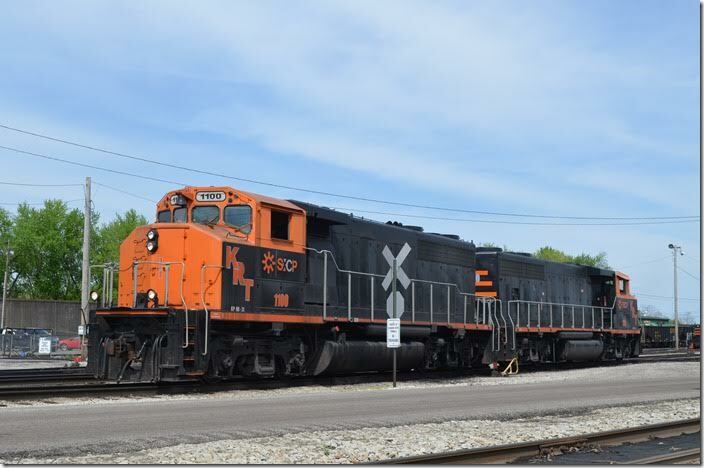 NS 3068-NW 2156. Kenova. Sorry to disappoint with this last NS picture.